freezer works, fridge temp. stuck at 68, think it’s the high voltage board. Where is it and how do I change it? Having said all that to give a direct answer to your question, let me just add that, based on your problem description– cold freezer, warm fridge– I doubt very much that HV board is bad. If it were, you’d have a warm freezer, too, because the HV board powers the compressor which does all the cooling. 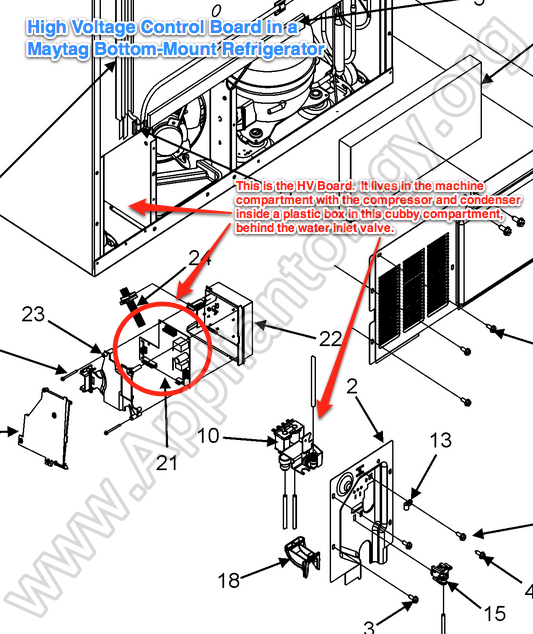 This entry was posted in Refrigerator Repair on April 25, 2012 by Samurai Appliance Repair Man. The revered Samurai is right on. 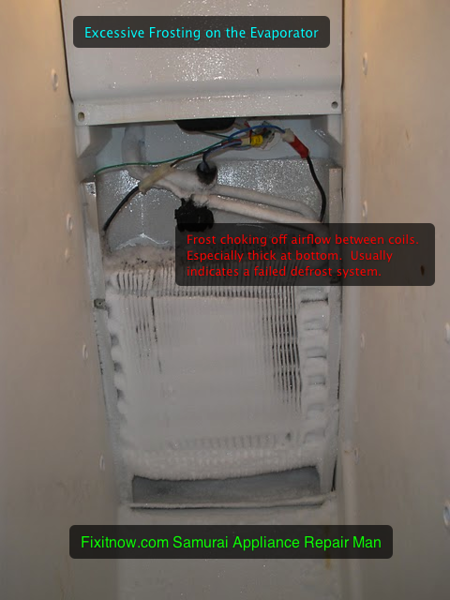 If the freezer is cold and the fridge is warm, you have an airflow issue. In this machine the most common causes are: The defrost terminating thermostat (see picture above,) or the evaporator fan motor. If you open the freezer door and hear the fan running, it’s not the fan.